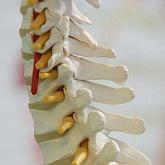 The emergence of biologic materials is one of the recent developments of spine fusion surgery. Earlier, autografts were considered as the ideal primary bone graft. However, allograft evolved as a better treatment option, owing to various associated complications such as pain, infection, and weakened bone. Thus, the use of biologics in spine surgeries is expected to witness higher demand in the future because of the constant development of new products. Global spine biologics market was valued at $1,644 million in 2015, and is projected to reach $2,214 million by 2022, growing at a CAGR of 4.3% during the forecast period 2014-2022, According to a new report published by Allied Market Research. Spine biologics are used during spine fusion surgery for the treatment of spinal deformities such as trauma, tumors, degenerative disc disease, and spinal cord injuries by stimulating bone growth formation through inflammatory stage, repair stage, and remodeling stage. Therefore, surge in the number of spinal fusion surgeries have fueled the adoption of biologics. The market is driven by factors such as increase in geriatric population and advantages of biologics such as minimal postoperative time, faster recovery, and ability to activate cellular growth. However, unfavorable reimbursement scenario, higher cost of bone grafts, and ethical issues related to bone grafting procedures hamper the market growth. The bone graft substitutes segment generated the highest revenue in the global market, accounting for more than half of the total spine biologics market. In addition, the cell-based matrices segment is projected to grow rapidly, registering a CAGR of 5.9% during the forecast period. The demineralized bone matrix segment is expected to grow at a CAGR of 3.4%, owing to its ability to stimulate bone formation. Synthetic bone grafts segment accounted for more than half of the global bone graft substitutes market in 2015. North America contributed two-thirds share of the global spine biologics market in 2015. France and Germany jointly accounted for more than one-third share of the European spine biologics market in 2015. Japan is the major shareholder in the Asia-Pacific spine biologics market, accounting for more than one-third share in 2015. North America is expected to maintain its dominance throughout the forecast period. However, Asia-Pacific region is projected to grow rapidly during the forecast period, registering a CAGR of 5.3%. Improving healthcare infrastructure and increase in expenditures in the emerging markets, such as India and China, to cater to the unmet medical needs in these countries have bolstered the market growth. The key players in the spine biologics market are focused on expanding their business operations in the fast-growing economies with new product launches as the preferred strategy. The major companies profiled in the report include Alphatec Holdings, Inc., Depuy Synthes (Johnson & Johnson), Exactech, Inc., Globus Medical, Inc., Medtronic plc, NuVasive, Inc., Orthofix International N.V., RTI Surgical, Inc., SeaSpine, and Zimmer Biomet Holdings, Inc.